You were up for a job promotion, and it went to someone else. That audition for the role in the play or the seat in the orchestra? You gave it your best but the director chose another. The leadership position that fit your qualifications to a T as in Too-Perfect? You knew you had it until the next in line got the nod. How come, right?! Why should s/he be chosen when you know you’ve got the talent, the experience, and the credentials? Were you too young or too old? The wrong color or dress size? Maybe they thought you voted for him (or her) in the past election. Ageism, sexism, racism, partisan politics – all the reasons we get passed over. It’s infuriating and unfair. 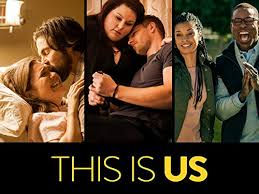 Last night the Season Two premiere aired of the popular family drama This Is Us. (No spoiler alerts here about how Jack dies.) But I cheered Pearson twin Kate on when she screwed up her courage and marched her quaking self into a vocal audition, only to wince when she fled before her number was called. In the restaurant where her brother Kevin and boyfriend Toby are waiting, Kate admits that she chickened out only to have the guys argue about whose job it is to comfort or encourage her. Kate finally explodes,” I’m a 37-year-old woman, darn it! I don’t need a man to tell me what I need to do.” Returning to the audition, which is just winding up, Kate insists that they give her a chance even if she is significantly heavier than the other women competing for the lead. Surprised, the director listens as she sings beautifully only to dismiss her after a few measures. Furious and not about to accept discrimination, Kate launches into a tirade of protest. The director interrupts, asking the backup singer to step forward and cover the same song Kate began. She’s fabulous. I’ve been thinking about that episode today. It’s tempting to assume that someone else got the gig we wanted because the system is rigged or she had connections or he has racial privilege. But you know what? Sometimes we don’t get picked simply because we’re not good enough. Someone else’s talent or skills exceeds ours. And like Kate, we need to woman-up and just admit that in a competitive world, we can’t all come in first. And that’s OK.
Years ago I worked for a company in a department with few opportunities for advancement. No problem; it was a level playing field for all. Until the day that a management position was created, and a colleague with less seniority than I did got it. Was I hurt? Of course I was. I accepted the decision publicly, but privately I cried and – so totally mature of me – slammed a few drawers while I was at it. Almost threw a vase at the window too. But here’s the thing. The coworker that got that promotion? She was incredibly good at it. Once I got over my internal hissy-fit, I knew that our entire team would benefit from her skills. It’s not that I wasn’t good at what I did. She was simply better, and it took me about 10 seconds to realize it. In the months and years to follow I honestly could not have been prouder of the stellar way she served our team. We all respected her, and no one more so than me. The Apostle Paul recognized that we are all vessels God can use, but our Creator did not make clones. Some of us shine in certain situations while others fill less visible but equally important functions. So maybe we’re not all designed to be Waterford crystal, refracting the light and drawing the praise. Maybe sometimes instead we’re the compost bucket – the repository of what others have discarded. But fancy crystal can be fragile, while that unremarkable compost bucket? Ah, the rich possibilities for fertilizing the lives of others! Not feeling good enough today? Yep, I’ve been there too. And that’s OK. This is us. I can relate to this big time, but I can’t say it the way you do.